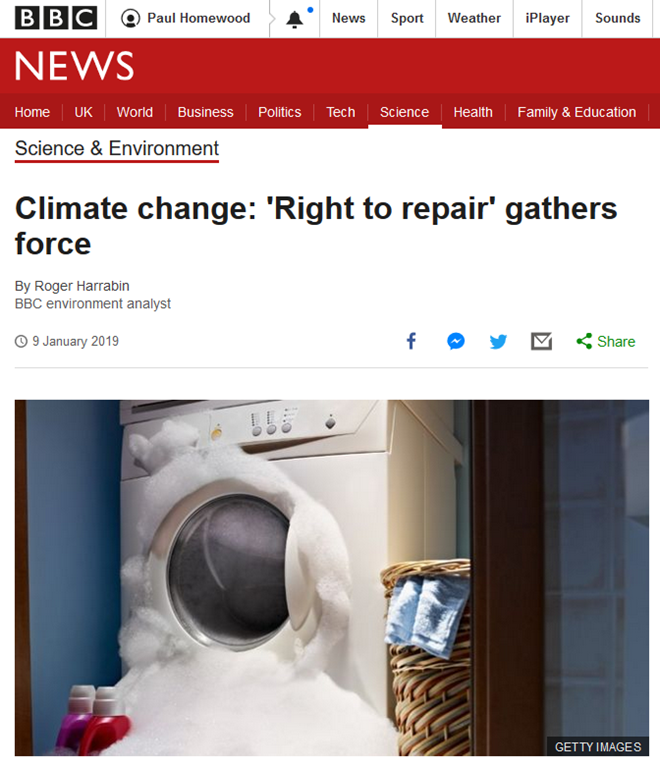 But help is at hand, because citizens in the EU and parts of the USA will soon get a "right to repair" – of sorts. The one question he does not raise is whether these latest slew of regulations will simply put up prices for these consumer goods. One of the big advantages of the way TVs and other home appliances are produced these days is that the use of integrated circuit boards and other parts reduce production costs. (Compare TVs now with the 1970s version which had umpteen valves and goodness knows what else). Harrabin’s logic is spurious anyway. He claims that we scrap appliances much sooner than we used to. There is, however, a very good reason for this. The cost of buying a new fridge or TV is much less than it was, even a few years ago. Economically it simply makes no sense spending £100 repairing an old TV when you can buy a new one for £300. The European Environmental Bureau is even complaining that printers are not included in the proposed regulations. This is nonsense, given that new printers can be purchased for less than £50. Do the EEB really believe you can find someone willing to repair yours for less than the price of a new one? As usual, it is all about “reducing emissions”. The interest of consumers is the last thing the EU is worried about.